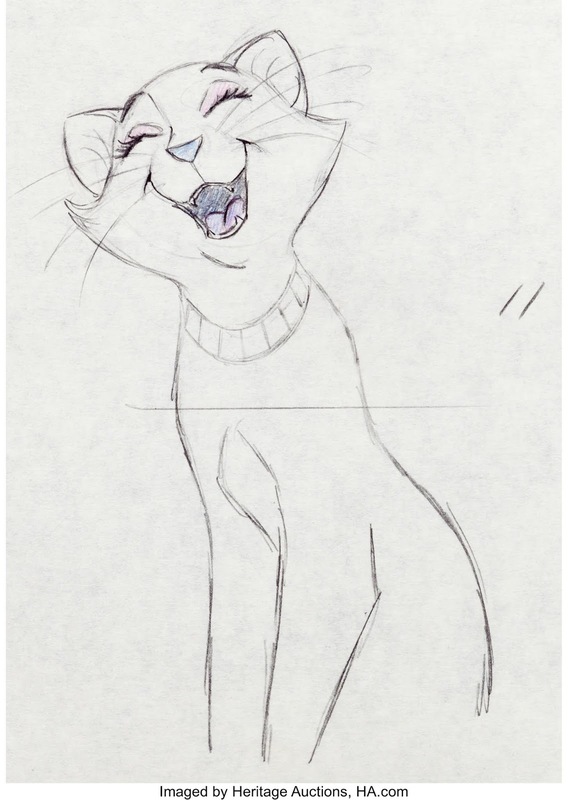 Milt Kahl rarely had his animation re-drawn, after all he was authority on the the Disney style. Most animators at the studio at one time or another asked Milt for "drawing help". Just one or two of his "draw-overs" would improve a whole scene in the way the character appeared on the screen. I've said this before, Milt represented the drawing police at Disney for a few decades. Here is a rare case where director Woolie Reitherman asked a clean up artist to alter Milt's animation drawings slightly during the production of The Aristocats. Duchess just met the alley cat Thomas O'Malley, who is trying to impress her by presenting himself as a man of the world during a song number. "Bravo, very good, you are a great talent" she responds. 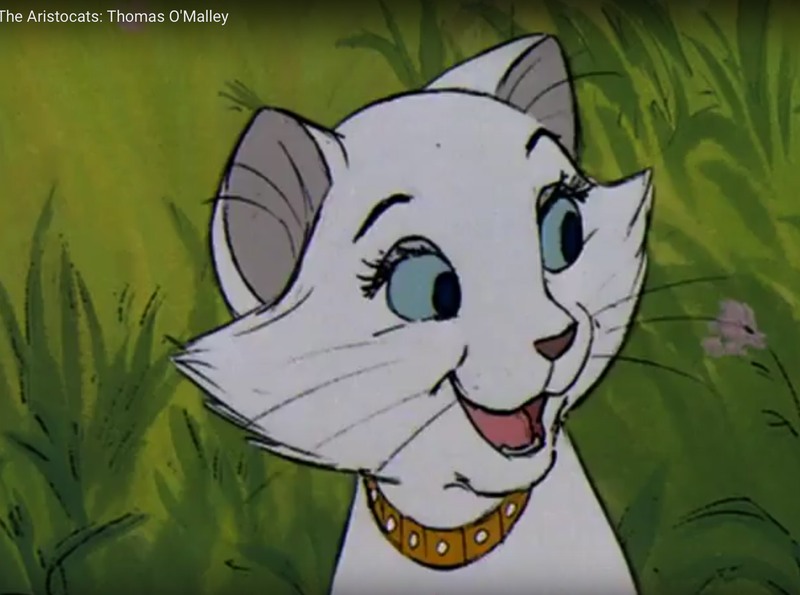 There are subtle changes that were made from Milt's original animation. Duchess' eyes got smaller and more cheek hair was added. 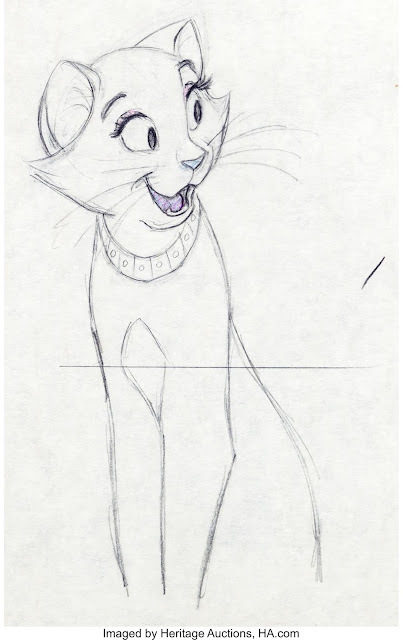 I think she still looks attractive in the final version, but that "Milt Kahl graphic bite" got lost.